Over the past few days, I have been watching Dušan Makavejev’s films and revisiting them. 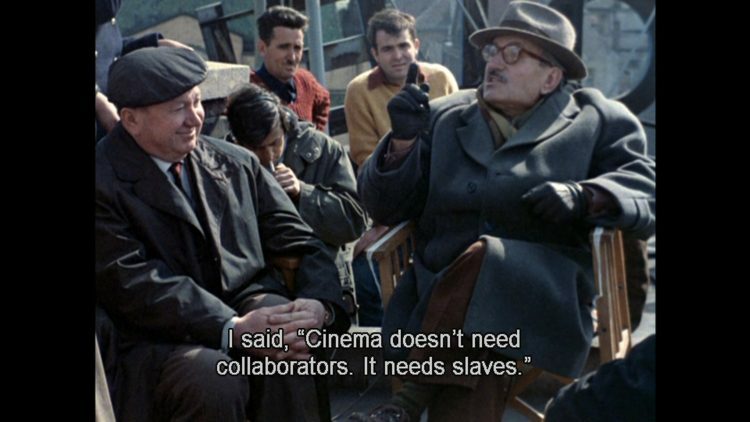 The radicalism, alternative approaches and thinking behind his cinema are genuinely unmatched and utterly unique. His movies from 1965 beginning with ‘Man is Not a Bird’ to 1974 ‘Sweet Movie’ are absolute masterpieces. Unfortunately, any other films he made beyond ‘Sweet Movie’ (after a seven-year hiatus) had lost their magic and extremism. At the same time, I wonder, what can you make another personal film after a gigantic groundbreaking product like ‘Sweet Movie’? How can one filmmaker deal with such a considerable amount of creative eruption and continue making films after it? This notion also reminded me of Béla Tarr’s The Turin Horse which he has said will be his last. So far, he hasn’t made a film after having a mind-blowing career from 1977 to 2011 and of course never compromised. How long, under what mental and social conditions and for what motivations outsider-filmmakers can keep on doing work and survive at the same time? When is the right time to stop making, if ever? These questions have always been haunting me, and I still found no answers for them. History of cinema is everything and the most crucial guide for any filmmaker to comprehend (solely for themselves internally) the psychological, practical and existential aspects of filmmaking!